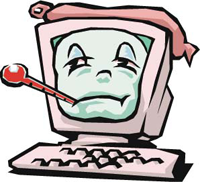 Several reasons exist for the slowing down of personal computers, which are not related to a malware attack or virus presence. The reasons could be as simple as clogging of the registry or presence of numerous corrupt files in the OS. Using pirated software programs, which are not automatically upgraded, causes the PC to slow down. Therefore, identifying the cause and rectifying the same is important to speed up the computers. Although, several reasons can slow your PC, the presence of virus is one of the most common causes. However, users are not required to spend huge amount of fees for licensed anti-virus programs. Downloading free programs, such as Avast or Avira can check the PC for the presence of almost ninety percent of the virus attacks. The computer processor requires space to run the processing tasks properly. Therefore, if your machine is loaded with large files, such as movies, videos, music, and other data, the computer will slowdown due to lack of space. Cleaning up the disc from the control panel helps delete unwanted files, which frees up space. The next step is to defragment your computer to free up additional space. Both these functions must be undertaken regularly to ensure that your PC does not slowdown. When users install software, an entry is automatically maintained in the windows registry. However, the registry does not update automatically with every installation and unistallation of the applications and programs. Therefore, with a free registry cleaner, such as CCleaner users can clean the registry from unwanted entries. This must then be followed with a registry defragmentation process to speed up your PC. Users must regularly delete temporary Internet files, cache files, and history lists to witness an instant increase in the computer speed. Moreover, users are recommended to uninstall all the programs, software, and applications that are not used. Uninstalling heavy themes that are installed will also boost the speed of your computer. Several users download desktop themes, wallpapers, animations, and other stuff to make their computer appear better. However, all these take up a huge amount of space, which slows the system. Therefore, deleting these fancy looks will free up memory thus resulting in an increased speed. This is achieved by right clicking on the My Computer icon, accessing its properties, and modifying the settings to “for best performance”. One of the simplest methods to improve the speed of your machines is to lighten the hard drive of the PC. This is especially necessary for the primary drive that is used to install the computer’s operating system. Deleting old files from the various volumes of the hard drives frees up memory space thus providing additional space for swapping files, which is the space on the hard drive that is used in addition to RAM as the working memory. Deleting the files stored in the Recycle bin is important to free up space, which is beneficial in speeding up the computer systems. Often when users install or download a program, it automatically runs during the computer start up procedure. This is one of the common factors that decrease the speed of your machine. Therefore, it is recommended to stop these unwanted programs from automatically running during the start up to boost the speed of your PC. When there is a shortfall in the working memory of the system, which is RAM, the computer uses the hard drive as the virtual operational memory. The amount of hard drive space used is based on the size of the pages. Therefore, increasing the page file size allotment improves the speed of the computer. This allows you to allot the space for storing the pages on any of the hard drives volumes that have available free space. Some of the newer versions of the Operating Systems, such as Windows Vista and Windows 7 enable users to boost the speed of their machines by utilizing a USB flash drive. This drive acts as a hardware device that can be a booster for RAM. This is advantageous to improve the computer’s speed especially useful for users who love extensive gaming on their machines. Generally, when an installed operating system has been in continuous use for three or four years can be infected with problems, which reduce the speed of the computer. Users are recommended to format the computer’s hard drive and reinstalling the Operating System to boost the speed of their personal computers. RAM is the working memory used by the computer systems. Therefore, increasing the capacity of the computer’s operational memory will improve the speed of the computers. Over the years, the recovery of data from the hard drive becomes difficult making the computer run slowly. This problem can be overcome by replacing the hard drive with a new drive to increase the speed of personal computers. Several users are habituated to installing more than one browser to surf the Internet. This is one reason why the speed of the computer may be reduced. Therefore, to increase the operational speed of your computers, it is advisable to install only one web browser to surf the Internet. 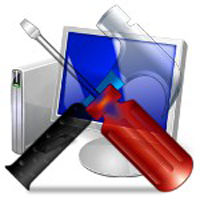 Download free PC maintenance software to repair, protect, and optimize the PC. Turning off the search indexing service enable faster searching of files. Another way to speed up your computer is maintaining an equal minimum and maximum page file size. This is done by accessing Control Panel, System, Advanced Tab, Performance Box, and modifying the settings for the virtual memory. Disabling the user account controls provided by the Vista OS also improves the speed of your machine. Regular cleaning of the computer and the fan to remove any accumulated dust is advantageous to increase the PC speed.